Each destination has its own vision of love and romance, but Thailand is a blessed place that offers abundant possibilities for an unforgettable wedding, honeymoon or romantic celebration. It has white sandy beaches dotted with Palm trees, forested mountains wrapped in mist at dawn, historical ruins, a capital city Bangkok that blends past and future, exclusive hotels & resorts tucked away in the lush greenery, sumptuous spa and moreover, unbeatable hospitality of the Thai people. Thailand is perfect for all tastes and types of partner. You can start your honeymoon with a dinner, tasting the exquisite and globally recognized Thai food prepared by famous chefs as the locals do: sharing together exotic and other grilled seafood, whilst enjoying the ocean front. Or if you prefer, learn how to cook as a couple in one of the many schools offering courses in Bangkok, Chiang Mai, Koh Samui and Phuket, practicing the delicate art of carving fruits and vegetables while you discover the variety of regional dishes. In a country with thousands of kilometers of coastline with pristine waters, water activities are a romantic and fun way to enjoy the environment. 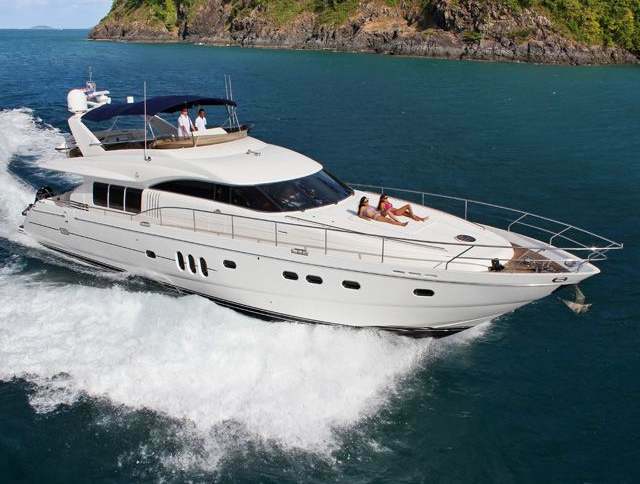 It will be a great experience, to hire a luxury yacht and sailing through incredible landscapes, exploring unspoiled islands and docking at one of its newest and most luxurious ports. If you want to live the luxury honeymoon, a successful option will be an unforgettable cruise sailing from island to island in the Andaman Sea, or Thai west coast, or in the gulf of Thailand, towards the countries east. If the idea of you perfect honeymoon is getting deep in to wilderness, far from relaxing on a beach or the comfort of a spa, there is nothing like exploring the flora and fauna that inhabit the islands of Thailand. 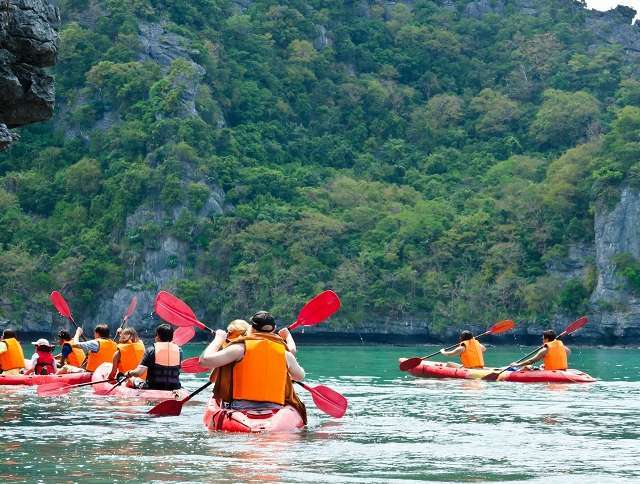 Go on and take part in adventure sports like kayaking, rafting, mountain biking or trekking to discover hidden caves, base jumping and much more. 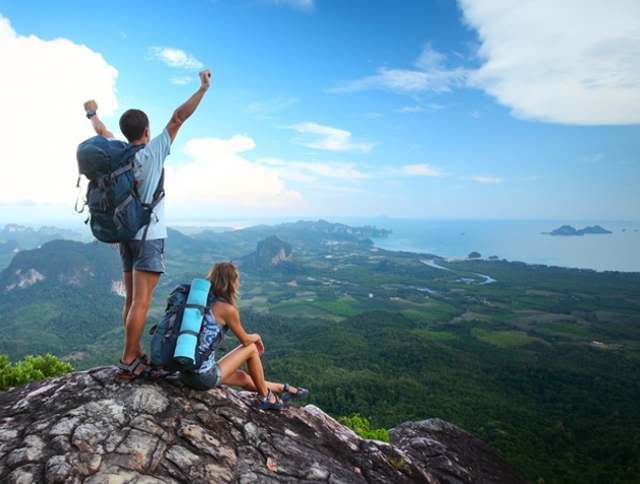 For those who want an adventure a little more extreme, climbing on the cliffs around Krabi is one of the best options. Another adventurous proposal is to discover the underwater world in the virgin islands of Similan and Surin. Swim among tropical fish, beautiful coral reefs, turtles, friendly dolphins and the other fascinating and sea creatures. Spending time in a Thai spa is a true experience, which combines a serene relaxation treatments with environment that only Thai hospitality is capable of transmitting. There are certain spaces that invite you to rest, relax, rejuvenate and enjoy yourself with techniques that included the best of the knowledge of Thai traditional medicine and the delicate care of local therapists. Discover love once again in Thailand with your significant other and make the most of your journey. Thailand’s picture perfect locations are sure to make your trip the best ever and also leave you with memories you can treasure for the rest of your life. Wish you a happy and loving vacation!